If you are looking for a home in the Denver Metro Area, you should consider the real estate options of Lone Tree Colorado. Lone Tree is an upwardly-mobile community found nestled in the south side of Denver, adjacent to Centennial. This hotspot for business is a diverse community with levels of family incomes and educated adults comparable to Boulder. Lone Tree is also part of Denver’s vibrant cultural hub of entertainment and arts. Homebuyers that desire peaceful, suburban living, with quick and convenient access to the big city and its great features and amenities, would be remiss not to explore this unique community. With an abundance of natural beauty found in spectacular mountainscapes, wide open spaces and picturesque parks, Lone Tree is a great place to reflect and relax. It is also a great place to have fun. At Skyventure Colorado you can try indoor skydiving, or take your children to enjoy a climbing adventure at Jungle Quest. The kids might also like to spend a day at the Children’s Museum of Denver, or for a day sans kids, consider stopping by the Lone Tree Brewing Company. The allure of this remarkable community doesn’t stop there, Lone Tree also has excellent schools. Students in the area are served by the Douglas County School District and can choose to attend the nearby Lone Tree Elementary or Challenge Magnet School, and Daniel C. Oakes High School or Rock Canyon High School. A generally wealthy community, Lone Tree is home to some truly luxurious real estate. Most homes here were constructed in the 1970s and since 2000. Residents enjoy the exceptional economic stability, which is proven by very low vacancy rates. Lone Tree homes tend to be of larger than average sizes with four or more bedrooms. That said, there is a selection of three bedroom homes found on the northern side of the town. 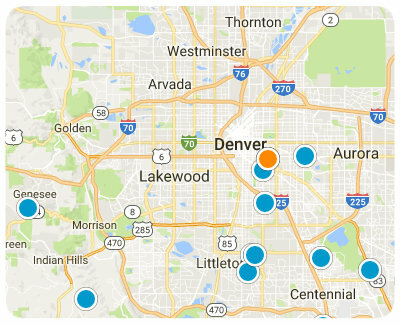 Among the community's most noteworthy neighborhoods are Acres Green, Carriage Club, Heritage Hills and Park Meadows. Homes throughout these neighborhoods, and in other parts of Lone Tree are of varying architectural styles and special features. If you would like more information regarding homes for sale in Lone Tree, Colorado, please allow us to assist you and contact us today.